Seeme & Liz > Learning Toys (0-2 year olds) > The Best Baby Activity Gyms Are Excellent For Skill Development! A baby activity gym is a must have when it comes to infant development. However, Exersaucers and Jumperoos are what many parents end up choosing, especially as their baby’s get older. But did you know that neither of these is good from a developmental perspective? A play mat or gym is ideal for babies 3 months+ but there are literally 1000’s to choose from. So, how is a parent to decide what the best baby activity gym really is? Hopefully by the end of this article I will be able to answer this question for you. I have chosen 4 for you to make this an easy process! There is also a 5th option, but this is a DIY Activity Gym, so you need to be somewhat handy to build this one yourself. All baby activity gyms and mats are good for your child’s development. And most of them are actually quite similar. I will explain why I have chosen the following 4, but first here is why these are an excellent option for a child’s language and learning! ♥ Activity mats do not cause issues with your child’s gross motor development in the same way that (exersaucers) and jumperoos can. ♥ They typically do not overstimulate your baby. With exersaucers and jumperoos there is a lot going on with regards to bright lights, sounds and different materials. Activity mats do not need to have lights and sounds (although some do). I recommend staying away from too much noise/lights, it is not needed in an infant toy. ♥ The toys that hang from an activity mat are common items and often are in a child’s first words repertoire. For example, star, ball, fish, monkey, bird, apple, sun, frog, etc. As your baby starts to understand more, ask him to show you a particular toy (e.g. where is/show me the star?). As he gets older he can try to make the words himself. ♥ Activity gyms are made of soft washable materials. They do not take up a lot of space and can be moved around and stored with ease. ♥ They can be used to encourage tummy time. ♥ They promote fine/gross motor development (reaching, grasping, pointing, sitting, rolling, head control/strength). The 4 Best Baby Activity Gyms! Unlike most activity gyms that babies outgrow by around 8-10 months, this one can be used quite a bit longer as it can be changed into a ball pit! Once set up as a ball pit, a baby or toddler can sit in it. However, the sides are mesh and therefore a child can easily climb in and out of it. You do not need to purchase an activity gym if you are handy! Empty Handed has some straightforward instructions you can follow to make your own play gym for your little one. An added bonus is that they should you how to convert the gym into a mini tent once your baby has outgrown the gym! You will need some some tools and supplies to complete this project. You can also head over to ETSY to check out their amazing selection of handmade wooden activity gyms! The biggest issue with baby activity gyms and mats is that once your little one is mobile, it will be hard to keep her on the mat. This is why many parents choose exersaucers and jumperoos as an alternative (babies cannot get out on their own). However, with all of the new and innovative baby products coming out each day, there is a solution. A baby play yard! You can put the baby activity gym inside the play yard and your little one won’t be able to get very far, allowing you to get some things done knowing that your baby is safe. What are The Best Baby Play Yards? As with baby activity gyms, there are also many baby play yards to choose from. The common complaints with the larger play yards (not the same as a playpen or pack n play) are that they can be flimsy and can be climbed as children get stronger and more mobile. Most play yards are meant for babies and toddlers under 24 months, so keep that in mind. I am not going to do a review of them on here, but I do think that they are good for a baby or young toddler that is just starting to move. And as I mentioned above, you can easily put a baby play gym inside one of these. If you do decide to purchase a baby play yard, one with a door may come in handy. Unless you are quite flexible and don’t mind stepping over the play yard to get yourself and your baby in and out. There are also portable versions available which easily fold up for storage and travel! There are so many baby activity gyms to choose from, so it will come down to your wants and needs in the end. Does your little one have a baby activity gym? Is this an item that you would purchase for your little one? I’m glad I found your site, one of my friend is having a baby soon and she was asking me about what I think about activity mats, I think she was asking me to get one for her as I asked what could I give her as a welcome baby present. Your article helped me to see more clearly why an activity mat would be a good idea to get for her. Thanks so much for writing a great article! I’m glad I was able to help you out Alejandra! A baby activity gym would be a great new baby gift. You can’t go wrong with one. I think as a parent we always want to make the right choices for our children in terms of their growth and development. I absolutely agree that activity mats will help a baby develop and learn more than Exersaucers or Jumperoos as they are just more simple. I love the fact the baby activity gyms you have recommended are gender neutral too. For sure Teresa. 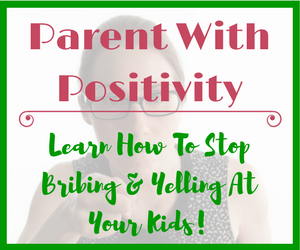 Parents want what is best for their child, but nowadays there is so much information out there. Much of this information is often contradictory. 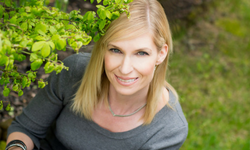 I want to provide parents with the best, most current information out there. While exersaucers and jumperoos are fine to use here and there, a baby play mat can be used more regularly as it will help with a baby’s overall development! This information should come in helpful in a year or so when my wife and I plan to start having children! I’m all for these activity gyms. It will keep babies entertained and keep them stimulated and learning new things about life. Babies are so crazy, just little humans that do know anything yet, but they learn so fast! Thanks for the information! I am glad you found my review of the best baby activity gyms helpful!. Baby activtiy centers such as these don’t tend to change much so there is a good chance all of the ones I have mentioned will still be available when you and your wife are ready to have a baby. Bottom line is they are all pretty good, but I recommend parents stick with the most simplistic ones. There is no need for an activity gym to require batteries! I get overwhelmed when there’s too much choice, but here you have explained easily about all 5 of them. Nice post! I wouldn’t get a play yard, it seems like too much restriction for a baby. Thanks for your comment! I’m happy to hear that your son loved his baby play gym. They really are great for a little one’s development. I wouldn’t rule out a play yard as they are a safe spot to put a mobile baby when mom or dad can’t be keeping a close eye. Also, if you get the fenced versions that I mentioned at the bottom of the article, you can put the play mat in it along with some other toys and you don’t need to worry about your son going somewhere he shouldn’t be. Many parents use exersaucers and jumperoos when they need to keep baby in a safe spot, however these aren’t great if you plan on having baby in there for more than 10 minutes at a time. Here’s a link to my review of both of these items. Exersaucer vs Jumperoo – 8 Things You Should Know! Great site! My boys used to love the activity mats when they were babies. They all seem like really good activity mats for babies. What a good idea that it can be changed into a ball pit! And the play yards look good too, wish i had bought one of these for when my kids were babies! Thank you for a very resourceful site. Indeed the information on your site does serve to inspire parents and educations. 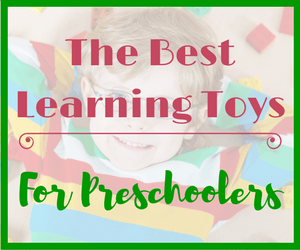 The toys you recommend do encourage children to develop their learning skills. From your experience, do you find that the toys these days require some participation by an adult/parent in the play and what impact does this have on the child? Great site! You’re welcome! I am happy that you like it. In order for children to learn, especially when they are babies and toddlers, parents must interact and participate while their child plays. Many toys nowadays actually take away from parent interaction as the toys has buttons that can be pressed and then the toy “talks” to the child. Unfortunately this is not the best way for a young child to learn. I suggest parents avoid toys with too many bells and whistles and stick with simple, more traditional toys. Or take the batteries out of toys as there will be more interacting and learning going on when the toys isn’t doing the talking. Thanks so much for this post. It saves us a ton of work searching the internet for baby activity gyms to get all the information you’ve posted right here on this page. Thanks for being so thorough! I also see there are many other things on this website I’m interested in…I have a feeling I’ll be back here often! I am glad to hear you found this article helpful Debra. There are so many different items available for babies it really makes it tough for parents to decide what to go with. 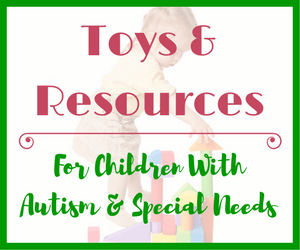 If you browse around the site you will see you don’t need to go overboard with toys. And many that claim they are great for learning, aren’t really all that good. Hopefully I can help parents figure out what they really need to best help their babies and children develop. My boy is no longer a little baby but I remember when he used to lie on the activity gym, he used to just tear down all the toys hanging and get a kick out of throwing them lol. And even to this day (5 years old now), he loves to get rough with things and loves throwing things and gets a huge kick out of it. He enjoys a lot of athletic sports and being a typical boy. I don’t know if the activity gym helped his athletic ability or if he was born with it, but definitely it showed me how he was going to be when he gets older lol. Sounds like your little guy loved the activity gym! From the sounds of it he was probably born with athleticism and started practicing at a very young age. My children both loved the activity gym as babies too! I am a first time mom, my baby is 4 months old now and I actually bought him a baby mat. I have to agree with you if we want our child to learn and also play, a baby activity mat is indeed one of the best play and learn items for our babies. You have presented the pros and cons very well. And thank you for sharing the play yard idea, I hadn’t thought of that until I read your post. When my baby starts to move around I’ll keep that in mind for sure. But right now, I am totally agreeing with you about the baby activity mat. Thanks for your comment! Congratulations on becoming a mom! 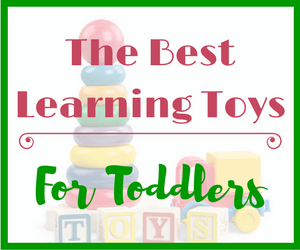 I am going to be publishing another article this week all about what I believe are the best learning toys (mainly from a speech and language development perspective). I hope you will have the chance to take a look at it. Hi,I am really happy to have found this site. My friend is having a baby soon and I don’t think she has thought about a baby gym at all. It is funny but a lot of people don’t know about these things, so having a website like this helps everyone who has kids or is expecting. I will definitely keep this in mind for myself and I will also inform my friend about this website. Do you know if going to the gym while pregnant is important for the baby? Or could it be harmful? Thank you. 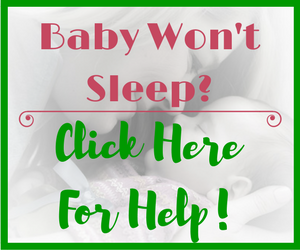 I am glad that you found this website and that you feel it will help your friend and other new parents. A baby activity gym is not needed to ensure proper development. Really the only thing a child needs is food, water, security and love from those around them. All of the toys and other accessories are extras. That being said, if your friend is able to afford a baby activity gym, it can help from a development perspective for the reasons I discussed in the post. As I am not a Dr or midwife, I cannot provide advice with regards to going to the gym while pregnant. From what I have learned from my own pregnancies and my friends’ pregnancies if the mother is healthy than mild to moderate exercise can be good for the mother/baby. Again, this is just my opinion. It is always best to check with your health care provider about questions related to pregnancy. As a mom of twins, I always loved activity gyms. They made life easier and I actually could sit without two babies in my arms. I love the choices you reviewed. They give parents many options. I love the bright colors and the toys and if it folds up and is easily storable, that is a bonus. You must have been quite busy with twins. 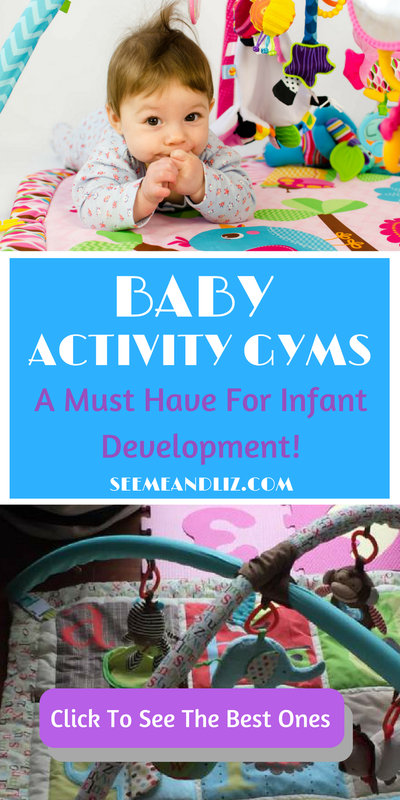 I love baby activity gyms for many reasons (as I mentioned in the article). I am happy to hear that you used them as well! 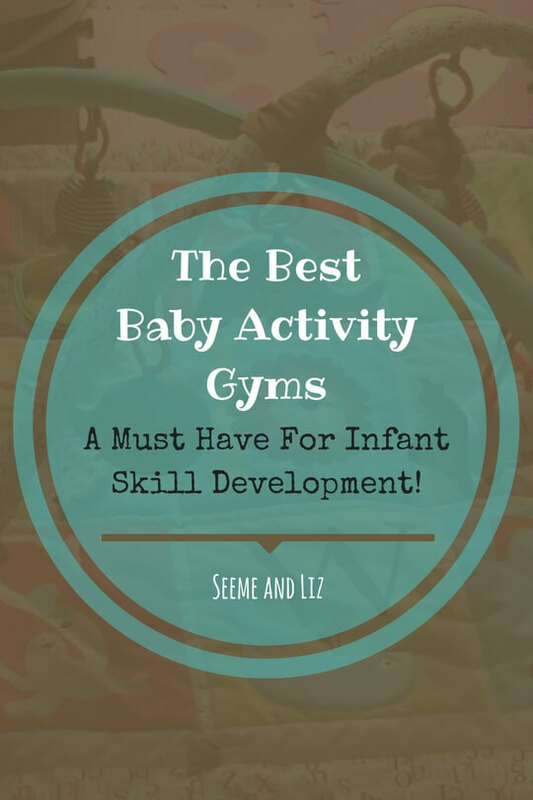 Loved your post on the best baby activity gym for your childs development. I am a massive fan of them too and you give some great reasons for using them. Both of my kids have had one and loved them too. They kept them safe and amused when they couldn’t crawl and were a great area for them to learn to roll over and strengthen their limbs. I had one of the activity gyms with a soft mirror which my little ones loved! I’d recommend them too. I’ll be back to see more reviews thanks. There are so many toy options for babies out there right now. It is really hard to know what to choose but there are definitely some great baby activity gyms on the market. From a physical development standpoint baby activity gyms are much better than exersaucers and jumperoos. My issue with all of the baby toy products on the market is that they take away from the human interaction a baby needs most. This is especially true of electronic toys that do all of the talking. A parent can just turn it on and walk away. And the manufacturers of these products cleverly market them as educational. This was a very interesting post for me. Man have things changed since I had the kids so many years ago. There were toys and such, but nothing like this was on the market. I guess my fear with counting on toys to entertain the kids, there may be less actual contact and communication between parents and the child. The toy could be the best and most stimulating product in the world and not be as effective? Thanks for your comment Dave. I completely agree with you that stimulation from parents and caregivers should be the number one goal in a babies life. This is one of the reasons I wrote my article on the exersaucer vs. jumperoo. Please read it as I think it will show you that we are both on the same page. A baby really doesn’t need many toys, especially not toys that are load and bright and are marketed to teach many things at once (e.g. numbers, letters, colors, counting, etc.). All parent’s need to be able to put their baby in a safe place in order to get things done around the house, or to take a 5 minute break. I feel that a baby activity gym is a great alternative to many of the other products on the market. Wohoo.. I love the Infantino twist and fold activity gym. Easy to carry every where. I personally don’t own any baby activity mat for my two babies. Perhaps I should buy one for my next =D. By the way, other than these commercial activity mats, I think you can also make a DIY baby activity. You know, using plastic clothes pin hanger, and get some soft materials to hang there and let your baby explores. I think it is a good alternatives for those who cannot afford buying too many baby stuff. Yes, the Infantino twist and fold activity gym is great for its portability. Although I would say they are all somewhat portable as they are just made of cloth materials. I am sure pinterest has many DIY activity mats for the crafty type. I am not crafty, so therefore I end up purchasing most items. I am also a bit picky about how things look in my house so if I did something like this on my own, I probably wouldn’t be happy with how it looked and end up hiding it in the closet all the time. Thank you for the article on some of the baby gym equipment to purchase for your little one or for a niece or nephew or grandchild. It is important to give your baby lots of visualization and the ability to touch and feel different textures so their brain can begin to make associations with different items. They will understand how to distinguish soft toys from hard toys. They will learn to see and touch and make connections. I also tried to give my baby toys that had letters and numbers do they could begin to recognize them, teaching them early literacy skills. Thanks for your comment Stephanie. A baby activity gym is on my list of must haves for all new babies. There are many baby toys you can go without, but an activity gym for a baby is a great product. It does provide visual input while not over stimulating the baby as many other toys do. I think baby gyms are really good, they encourage motor development and something that can keep them occupied for a few minutes is great. When our kids were small we just had a big wooden playpen with some of their toys. Every evening when I finished work I used to spend an hour with them in the playpen. The years when they are small really are the best, now I’m waiting for some grandchildren. Of the four baby activity gyms you reviewed I prefer the first one, anything that can be used a little longer seems worth it and I like the idea of a ball pit. I would certainly consider buying one for my future grandchildren. Thanks for your post. 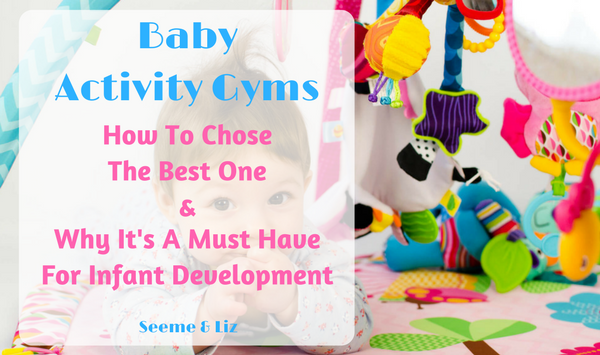 You are correct, baby activity gyms are great for motor development and hand eye coordination. Eventually, as the baby gets a bit older they are also great for speech development as well! I agree, I think that the Infantino Grow-With-Me Activity Gym and Ball Pit is probably the best value for what you are paying. I also like toys that can grow with a child! You have a really nice site here, with plenty info. I just found out that my wife is pregnant and I have been looking up all this information. I had no idea you could over stimulate your child. And thank you for supplying a link to some baby activity gyms that you recommend. I will be coming back for more baby info. Congrats on the pregnancy! What an exciting time ahead for you and your wife. You can’t go wrong by getting information before your little one arrives. However, try not go get overwhelmed as there really is endless amounts of information out there when it comes to babies (some good, some not so good). Your baby doesn’t really need much. I have created this site to help parents figure out which toys I believe will really help with their language and learning in order to make the buying decisions easier for you. I hope that my 10+ years of experience working with children and then having my own will help my readers trust my opinions on the items I am recommending. But definitely make sure that you invest in a baby activity gym! And make sure to check out my article Exersaucer vs Jumperoo – 8 Things You Need To Know. Some of the things I mention might come as a surprise! With our children we always have at least one of these activity gym’s around, altough I’ve never heard of them being called that before. I totally agree with them being helpful for your child. Young kids spend so much time sitting in high chairs, car seats, or bumbo chairs that it’s so important to give them stimulation on their backs as well as the very important tummy time. Great post! Do you use the exersaucer and jumper too? We use both and the activity gym too! I agree, babies need a variety of positions to learn and explore their environments. Although some positions are better than others due to a baby’s musculoskeletal system still not being as developed as that of an adult. Please let me know what you think about that article by either replying to this comment or leaving a comment on the exersaucer vs jumperoo article. Hello! This is my first time visiting your website. 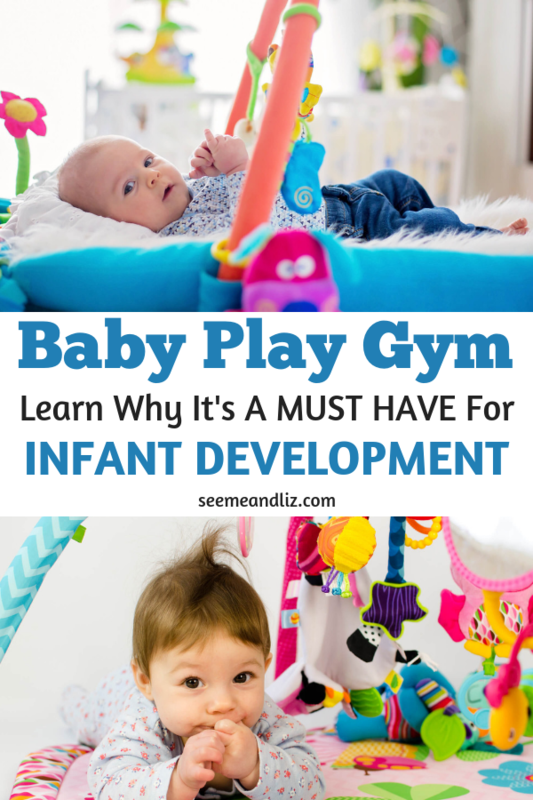 I had baby gyms for my children and they provided many hours of fun and engagement for them. I can see why you would have a high recommendation for them. Your number one recommendation sounds like a good choice. I was not aware of one that turned into a ball pit for toddlers. And the price is nice! I paid more than that for my baby gym. I had one with a rainforest theme. Thanks for visiting my site and taking the time to leave me a comment! The Infantino Grow with me Activity Gym and Ball Pit also was not around when my children were babies. I am pretty sure this would have been the play mat that I would have purchased had it been around. I love toys that can grow with a child so that you aren’t always having to go out and purchase new toys. There are so many toys on the market nowadays it really is hard to decided what is good and what isn’t. Or what is needed and what can be done without. I hope that my site can help make that decision easier for parents and caregivers.